For quite a few reasons, putting your dog through obedience training is the best thing you can do for them. It’s a relatively simple process, especially when your dog is young, but a lot of people just don’t take the time or see the point. 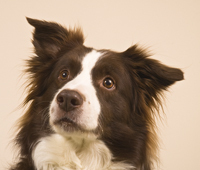 You can take your dog to an obedience training class or train them on your own. Either way, it’s a tremendously useful tool in minimizing bad behaviors early in their life. Establishing appropriate boundaries and making sure your dog recognizes them is extremely important. It will make your relationship with your dog much stronger, and it will set your dog at ease as well. When your dog knows its place in the world and what is expected of it, it will not feel the need to take responsibility for everything. Dogs feel stress too and a dog that doesn’t have boundaries will be confused about what it is supposed to do and when it is supposed to do it. This can lead to erratic behavior and a high-strung temperament. It can also lead to a constant struggle for dominance between you and your dog. With appropriate boundaries in place, however, your dog will be able to relax because it understands its place. It will know that you are in charge and that you will protect it. Dogs also want to have a job to do. Obedience training is a way of putting your dog to work by giving it commands to follow and actions to perform. A misbehaving dog is often just a dog that’s bored and doesn’t know what is expected of it. By giving you dog a job to do, you give it purpose and a context to work within. This is exactly the type of situation in which most dogs thrive. When you have confidence in your dog and your dog has confidence in you, you can spend a lot more time together. If your dog knows how to behave in a variety of situations and will listen to you unconditionally, it can be a lot more involved in your life. When you know your dog will listen to you no matter the circumstances or distractions, it will be much safer and easier to take them with you on a regular basis. It will also be a lot safer for your dog when they are trained thoroughly to respond to you. You will be able to steer them clear of the potential dangers of cars, other animals, and people. This can provide you with great piece of mind too. Developing a clear line of communication with your dog is the most important thing you can do to make sure you’ll have a long and positive relationship. Training your dog right does take some effort. But the results are well worth it. You don’t have to commit to huge blocks of time to do it either. You just have to set aside a small amount of time on a regular basis. Consistency and a little bit of effort is all it will take to train your dog right.